Why has the Falcon Heavy had so little impact on NASA? NOTE: An update of this post can be found here. On February 6, 2018 the first Falcon Heavy roared off the launch pad to a successful first flight. Elon Musk’s Red Tesla roadster soared in the direction of Mars to tune of “Rocket Man.” The future of inexpensive, reusable rockets envisioned in the NSS position paper “Now is the Time: A Paradigm Shift in Access to Space” (April 2017) appeared just around the corner. Yet here we sit, nearly one year later, and it is hard to discern the impact of the Falcon Heavy. Russia has been for all practical purposes driven out of the commercial launch business, with SpaceX by itself in 2018 leading the number of Russian launches, commercial and governmental, 21 to 20. The 2018 FAA report on 2017 commercial launch activities shows the U.S. in the lead with 21 commercial launch events (mostly SpaceX), Europe in second with 8 commercial launch events, and Russia a distant third with 3 commercial launch events. When the 2019 report on 2018 commercial launch activities appears in March, we can expect it to show similar results. SpaceX in 2018 launched the same total number of rockets as Europe, Japan, and India combined. Arianespace has been forced to replace the no longer competitive Ariane 5 with the still in development Ariane 6. SpaceX has become a significant player in the EELV launch market in the U.S., and ULA has been forced to start the process of replacing both the Atlas V and the Delta IV with the still in development Vulcan. NASA relies heavily on the F9 to bring supplies to the ISS, and completely on the F9/Dragon to return experiments from the ISS. 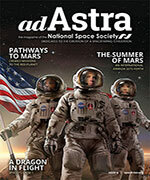 NASA plans to rely on the Dragon 2/F9 along with the Boeing Starliner with the Atlas/Vulcan to ferry crews to the ISS. The lower costs of the F9 have enabled large-scale projects such as the recently finished complete refresh of the Iridium satellite network (eight F9 launches in total). The first reason the Falcon Heavy has not had more impact is that it only flew once in 2018. The planned flights for later in the year were delayed while the F9 Block 5 re-usability technology was developed. Block 5 Falcon 9 technology is targeted for 10 flights without a major refurbishment. By early 2019 a single Block 5 Falcon 9 first stage has been reused three times and multiple Block 5 first stages have been flown twice. Although clearly there is more development in store for the Block Five technology a considerable degree of progress has been made. This has allowed SpaceX to plan for two additional Falcon Heavy flights in early 2019 using Block 5 technology. It is rumored that the fights will use the same hardware for both the first stage side boosters and the center core, which would be a remarkable achievement. The second reason the Falcon Heavy has not had a great impact thus far is that among key policymakers behind the scenes there is a rule of thumb that a launch vehicle needs to be flown successfully 10 consecutive times in order to be considered a reliable option for government flights. As can be readily seen the Falcon Heavy is quite a distance from having 10 successful flights. Counting one in 2018 we have two more planned for 2019 and in addition two more have been scheduled for out years. This only brings us to a total of 5 Falcon Heavy flights by 2020 or 2021. At this rate and with the 10 flight criteria being applied it might be 2022 or 2023 before the Falcon Heavy is considered ready for use by the government. However, this is a conservative outlook. A more likely scenario is that after a couple of successful Falcon Heavy flights we will see a significant uptick in Falcon Heavy orders including orders from some government sources such as the Air Force. The Air Force has been open to using the F9, most recently on December 23, 2018 when for the first time SpaceX launched a GPS satellite. With these additional orders perhaps by 2020 there will have been 10 Falcon Heavy flights and the flood gates will open allowing for more serious consideration of the Falcon Heavy for usage by the government. Of course, there seems a fundamental unfairness requiring 10 consecutive successful flights of the Falcon Heavy before it is considered seriously for government projects while at the same time allowing NASA’s entire future plan to be based around the totally unproven SLS. The issue here is not that requiring 10 consecutive successful flights before a lunch vehicle is considered seriously is unreasonable. Arguably, it is very reasonable. What appears unreasonable is considering SLS to be ready for crews after one test flight. Some might argue that since the government (which is, after all, building the SLS) has deep insight into SLS engineering, but would be purchasing Falcon Heavy launch services without this insight, the 10-flight requirement is intended to make up for this lack of transparency. Perhaps because it has already made the leap to purchasing launch services with the EELV program rather than designing and building “Air Force” brand launch vehicles, the Air Force seems more willing to use the Falcon Heavy than NASA. This is not to suggest that the Air Force does not have strict quality criteria for evaluating new launchers, but as can be seen from the fact that it has already purchased two Falcon Heavy launches, it is well ahead of NASA in utilization of the capabilities of the Falcon Heavy. Although there can be little doubt that NASA has more insight into SLS engineering than Falcon Heavy engineering, this additional knowledge is no substitute for actual test flights. A third reason the Falcon Heavy may have had less impact than expected is that SpaceX has not produced a larger fairing for the Falcon Heavy. Currently the F9 payload fairing is 5.2m in diameter and 13.2m long. The Falcon Heavy uses the same size payload fairing. This limits the size of the payload and has been directly addressed from a competitive point of view by Blue Origin’s New Glenn which has a 7m diameter fairing. The precise logic by which SpaceX has decided to not invest in a larger or longer fairing for the Falcon Heavy has not been made public. However, it is easy to speculate that Spacex’s decision to focus their entire effort on the so-called Super Heavy/Starship and to minimize development on both the Falcon 9 and the Falcon Heavy might be responsible. With this approach the Falcon 9 and the Falcon Heavy will be aggressively sold into whatever marketplaces they can currently support but additional development to expand the markets the vehicles can address will not be undertaken. If this is taken to a logical limit it suggests that the Falcon Heavy will mainly be used for launching geosynchronous satellites or for a limited number of military payloads that are too large for the Falcon 9. Currently, the geosynchronous satellite market appears to be in a slow but steady decline, calling into question whether many Falcon Heavy flights will be purchased for this market. A commercial launch vehicle capable of carrying supplies to the Lunar Gateway. An alternative launch vehicle for the Europa Clipper. 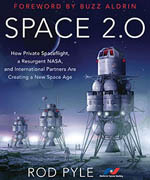 A commercial launch vehicle to boost the first component of the Lunar Gateway to the Moon. However, these plans are just “discussions” without money behind them as is the case with the two Air Force contracts to launch on the Falcon Heavy. It is interesting that the Blue Origin New Glenn appears to be well positioned to be a strong competitor to the Falcon Heavy. The New Glenn according to its latest payload users guide is capable of launching 13 metric tons of satellites including two satellites at the same time to geosynchronous orbit in reusable mode. With the 7m fairing of the new Glenn compared to the 5m fairing of the Falcon Heavy, and also given that the first stage of the New Glenn does not have the added complexity and cost of side boosters, New Glenn appears to be well-positioned to compete for essentially the same geosynchronous launch market as the Falcon Heavy but potentially with lower costs. Additionally, now that the upper stage of the New Glenn is a liquid oxygen/liquid hydrogen stage we can expect to see that the ability of the New Glenn to launch deep space probes may well significantly exceed that of the Falcon Heavy. In fact, it can be argued that the greatest impact of the Falcon Heavy has been on the design of the New Glenn which seems specifically created to compete with the Falcon Heavy. The wildcard in the Falcon Heavy’s impact is the extent to which it might be used to launch SpaceX’s Starlink satellites. When the significantly larger launch capacity of a Falcon Heavy is compared to that of the Falcon 9, combined with the potentially lower cost per satellite of the Falcon Heavy, this might make the Falcon Heavy essential to the early stages of Starlink deployment. If in fact the Falcon Heavy is used heavily for Starlink deployment this could rapidly increase the experience level for the Falcon Heavy and lead to further sales for a wide variety of applications including some from NASA. Overall, 2018 started with a Falcon Heavy blast but ended on a whimper. The promise of the Falcon Heavy may only be realized fully if Super Heavy/Starship development is relatively slow. Still, if the Super Heavy/Starship rapidly eclipses the F9/FH, few will mourn the passing of these revolutionary vehicles, which proved in the end to be a bridge to a brighter future. 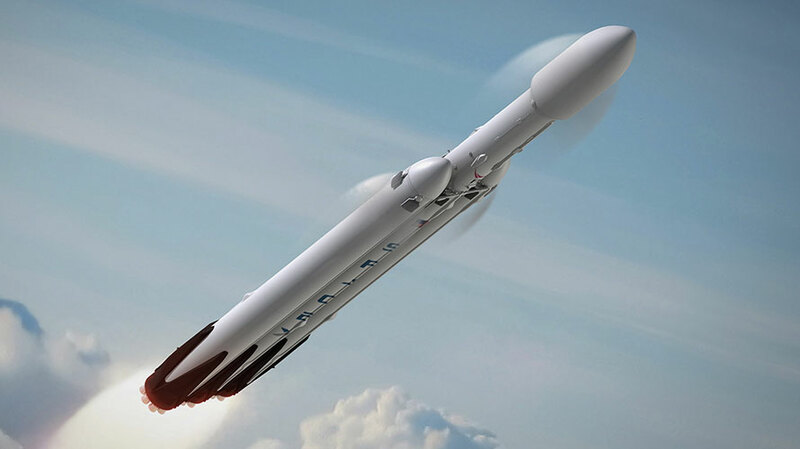 Alternatively, if the Super Heavy/Starship project moves slowly enough, we may see the Falcon Heavy enhanced by the addition of more side boosters, a Raptor powered second stage, and a larger fairing to become a Falcon Super Heavy that competes directly with SLS. Don’t rule out ULA…they are reloading …. ULA is too used ripping off the government to be competitive. The only thing they are awesome at is government paperwork and bribing and hiring NASA officials. I kinda have to agree with Wayne here. While ULA have been delivering great services (They were certainly more reliable than SpaceX’s EARLY days), they have been in a monopoly too long and have become too complacent. They charge too much and use methods that, while not illegal, are certainly dubious. However, ULA have been doing a good job in trying to get themselves up and moving again. With them being such a large coalition (? ), I can certainly understand the difficulty in trying to make a semi-reusable rocket. Still SpaceX is way ahead of them, both in price and capacity to LEO. And both of those look like it’s going to extend to 401 million miles ahead relatively soon. My view is that the Falcon Heavy by itself doesn’t have the right level of capability to serve NASA’s needs beyond LEO. Without a cryogenic upper stage, it really cannot be a rocket around which a lunar or Martian program can be based upon. But, if NASA were to establish a set of full-scale, “Lunar COTS” programs with funding for the development of a full-scale cryogenic lander then the FH could use its significant payload capacity to LEO followed by the lander going directly to the lunar surface using a large, external drop tank. Even then, this FH-XEUS approach would only deliver about half the payload to the lunar surface of a Saturn V-class rocket. But if used in cargo mode first with one-way missions to the Moon then about 10 metric tons of telerobotic ice harvesters and power systems could be sent in an attempt to harvest lunar polar ice for propellant. If successful then a refueled lunar lander (now ferry) could retrieve 20 tonnes of payload for every FH launch. At that point, the FH would be a true Moon rocket and at a small fraction of the cost. ULA has spent 15 years poo-pooing SpaceX, and 10 years poo-pooing reusable boosters. In that same timeframe, they COULD have started an R&D effort for a domestically produced engine for Atlas, and they COULD have started an R&D effort toward their own reusable architecture. But the didn’t. Instead, they golfed, rubbed elbows, and threw shade. Now they are watching Elon eat their lunch. I have zero sympathy. Thinking about that, that’s kinda true. They DID have a decade, at least, and it’s not as if they didn’t have the opportunity for making a new launch vehicle. They could at least have done some feasability studies. But they’re getting themselves moving again, albeit 5 years too late. Falcon 9 has already become a reliable booster, and has become one of the best in the industry. Where are you getting this “10 consecutive successful flights” rule? Atlas V flew MRO for NASA on it’s 5th mission. Delta IV flew a USAF payload on its 2nd mission. Delta IV Heavy flew a USAF payload on its 2nd mission, right after a partial failure. Antares and Falcon 9 both flew NASA payloads to ISS on their 2nd flights. Take into account that most proven historical launch vehicles were designed for a specific mission, and success of the mission automatically made the LV’s reputation. Falcon Heavy was designed mainly for the sake of it – SpaceX was curious whether they could strap three F9s together, and it actually worked! Which was a surprise for both SpaceX and the world. It’ll take time before industries of the planet will take FH’s existence into consideration – that they can build and launch heavier satellites/probes from now on. The world has inertia. On the uses for FH – the most profitable for SpaceX would be launching billionaires into Apollo 8 type journey, but for this they need to design and thoroughly test their own life-supporting systems, manned capsule, communication satellites, and build specialized mission control for this type of mission. All of this can take up to a decade, especially since SpaceX has to rely on it’s own funds and not NASA’s 5% federal tax they enjoyed during the Apollo R&D era.